Why should your homeschool high schoolers earn philosophy credit for their transcripts? Teens who recognize philosophic thoughts and trends can become culture creators themselves. God is a philosopher. Philosophy is the love of wisdom. God said to “get wisdom”. God is the creator of wisdom. It is important for our teens learn to be wise and submit their thinking to God’s wisdom. University, and McDaniel College. 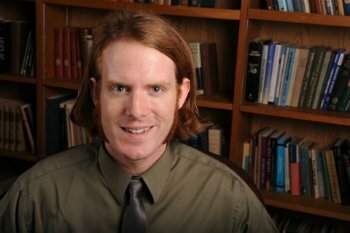 He wrote Philosophy in 4 Questions at the request of some homeschool high schoolers to help them understand the basics of philosophy. Written in a light-hearted, fun manner and a Christian worldview, Philosophy in 4 Questions helps teens learn to recognize, think about, and discuss these questions. Lessons are short, easy to digest, and include lively examples. Philosophy in 4 Questions is a favorite course for homeschool high schoolers who want to learn to think and become culture creators. Don’t let your teens’ God-given thinking abilities go to waste! Let Dr. Micah Tillman give them the tools to become a generation of Godly philosophers in whatever career they pursue. Text includes a separate answer key and guide for writing an optional philosopher’s paper. Click here for an excerpt. 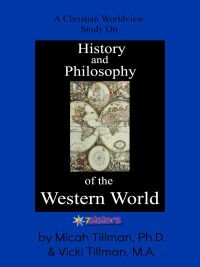 Although students need no pre-requesite his course is a great follow-up for History and Philosophy of the Western World. You can purchase Philosophy in 4 Questions for 50% off from November 17-19, 2015. Download your copy today! Enter Coupon Code PHILIN4Q at checkout. I really enjoyed the text book because often times when dealing with uncomfortable or serious topics Dr. Tillman would incorporate some humor and it made the subject a little easier to digest. Philosophy has always been a great thing to study in my mind. It helps me think more clearly and it teaches me to never settle for the easiest option, and Tillman’s text book certainly made me think a lot. I thoroughly enjoyed reading through and completing this text and I would suggest it to anyone who feels inspired to delve deeper into what they believe about the world.– James, 11th grade when he completed Philosophy in 4 Questions.